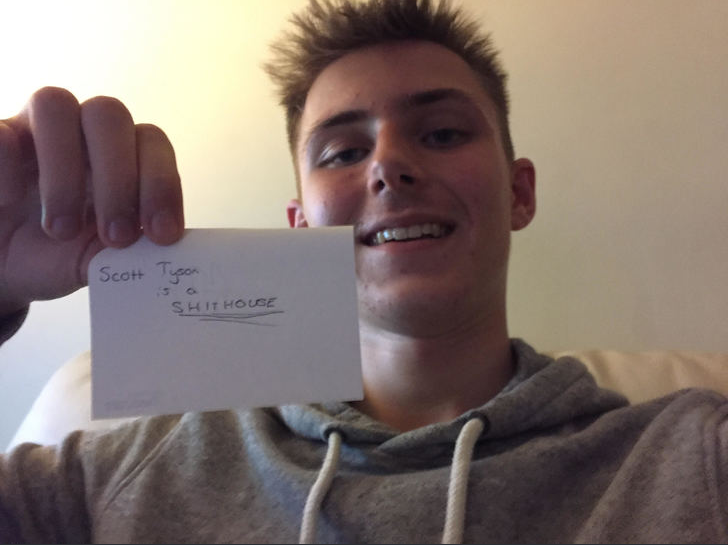 @ScottT, I thought I'd give you my Blessing for this one. Eleke doesn't seem to be the paciest of wingers but seems quite well-rounded. Could prove to be a good goal scorer for you. Austria Wien have today issued a statement declaring their intentions to keep hold of goalkeeper Patrick Pentz no matter what and categorically denying that the 22 year old would not be leaving the Generali Arena this summer. Reports suggest that a number of German Bundesliga clubs have made a bid for the goalkeeper who placed second in the Goalkeeper of the Year award for the Austrian Bundesliga, but all have been firmly rejected by the hierarchy at the Generali Arena, with Die Vielchen valuing Pentz as a key component in their squad as they prepare for an upcoming Champions League qualifying campaign. Bayer Leverkusen, are believed to be the most interested side, with Bayer said to have made two bids, the first worth around £4.5 million, and the second being worth a total of £6.5 million for the goalkeeper. However both were instantly rejected by Austria Wien, and as a result of the second bid, Austria manager Christopher Steegmann and President Wolfgang Katzien have moved to make the statement declaring that the goalkeeper would not be leaving the Generali Arena this summer. However, a further twist to the tale is added by reports that suggest Pentz himself is interested in leaving the Generali Arena, with Bayer Leverkusen a move particularly interesting the 22 year old. Given Leverkusen’s tendency to give first team opportunities to young goalkeepers, Pentz sees a move to the BayArena as the perfect chance to continue his development at a bigger club in a bigger league that will have the opportunity to play European football on a more regular occurance. Pentz played in all 32 of Austria Wien’s Bundesliga games last season as they finished second and qualified for the Qualifying Rounds of the UEFA Champions League. Justice: He’s not the paciest but I’d like to think our system doesn’t require pace to work effectively and he looks a threat cutting inside from the left wing! They are big bids It'll be interesting to see if another bid comes back and what'll happen later on but it looks like you really do value this player! Die Vielchen ended their pre-season campaign earlier today, as they came from 1-0 down to earn a creditable 1-1 draw with La Liga side Athletic Club Bilbao at the Generali Arena. It will be a result that fills Christopher Steegmann with confidence about his sides ability to compete against teams from across Europe as Die Vielchen excitedly wait to find out who they will face in the Third Qualifying Round for the Champions League, but also completes a satisfying pre-season schedule for the hosts and the team and the fans can now begin to look forward to the return of competitive action this weekend, when Austria face Altenmarkt in the first round of this year’s OFB-Cup, with the Bundesliga returning to action in nine days time. When Markel Susaeta fired a powerful effort past Patrick Pentz in the Austria Wien goal in the ninth minute, it looked like Athletic were about to hit the hosts for a heavy victory. With Austria sitting back too much and looking to counter Bilbao, Die Vielchen’s gameplan wasn’t working early on and when Steegmann encouraged his team to press heavier and play the game further up the pitch, the tide began to turn with Austria beginning to iron out chances. Bright Edomwonyi twice hit the post as his worrying run in front of goal continues, but his all round play was superb. When the referee blew his half time whistle, it was Die Vielchen who were on the ascendancy and threatening to score the second goal of the game. After the break, the game continued to follow the same trend as Austria Wien continued pressing for an equaliser and when a loose ball fell to Uros Matic in the penalty area in the 58th minute there was only ever going to be one outcome. The Serbian, signed permanently from FC Kobenhavn at the end of last season, lashed the ball home with an unstoppable effort which, in reality, gave Alex Remiro in the Bilbao goal no chance of saving it. Matic, was delighted with the equaliser, as Die Vielchen scored a goal that was thoroughly deserved. In the remaining half an hour at the Generali Arena, both sides pressed for a winner but both Patrick Pentz and Remiro held firm in the two goals and ensured that both sides can take some positives from this 1-1 draw. 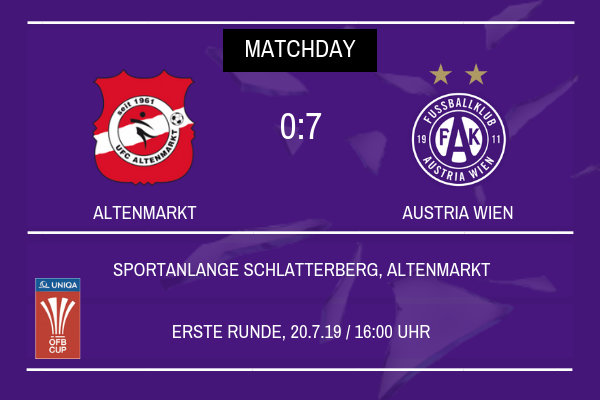 For Austria Wien, it rounds off a pre-season campaign that has seen the team rigorously prepared for the upcoming Bundesliga campaign, having beaten Wiener Neustadt 3-1, Austria Lustenau 1-0 and Offenbach 3-0, with draws against Essen and Bilbao thrown in. With a hard pre-season training programme on the training ground also undertaken by the players, Christopher Steegmann will be hoping that his team are capable of going one further than their second placed finish last season. Incredibly strong result against a historically significant football team, who are definitely a force to be reckoned with. It bodes well for the upcoming season, perhaps some European scalps are on the horizon? Die Vielchen today ensured their progress to the second round of the OFB-Cup by thumping UFC Altenmarkt 7-0 in the first round, with David Cancola scoring a marvellous hat trick, and Austria played the final half an hour with only ten men. Despite the opposition having not represented much of a threat over the course of the 90 minutes, Austria Wien and Christopher Steegmann will be extremely happy with the performance of the team over the course of the game and it is a result that will fill the coaching team with confidence heading into next Friday’s Bundesliga opener against Floridsdorfer. With Die Vielchen being the heavy favourites for the tie there was going to be no winning for Austria Wien in reality as a defeat would have brought incredible and deserved criticism whilst a heavy victory was expected. With all the pressure on the visitors, Christopher Steegmann selected a rotated side, with many first team regulars still recovering from the midweek friendly with Athletic Club Bilbao, and the German gave starts to Michael Blauensteiner, Thomas Ebner, David Cancola and Dominik Fitz, with all four impressing as they cemented their bid for a place in the starting XI. Summer signings Jubal and Blessing Eleke also made their competitive debuts for the club as did 18 year old academy graduate Jonas Burmeister, signed at the beginning of March with Steegmann keen to see what kind of role the youngster can play in his team as they chase silverware this season. It took just 11 minutes for Austria Wien to take the lead as Alexander Grunwald opened his account for the season from the penalty spot before young winger Dominik Fitz, scored his first goal for the first team with a composed finish from just outside the six yard box, making it 2-0 and already seemingly putting the tie beyond the reach of Altenmarkt. A third and fourth goal followed before the half time break as David Cancola, starting in the centre of midfield, scoring two sweetly struck efforts from outside the penalty area, giving Austria Wien a result that they would already have been comfortable with and all but guarantee the visitors a place in the next round of the cup. Just two minutes after the break, Christian Schoissengeyr, looking to put aside competition from new signings Jubal and Tomas Hubocan and earn his place as a starting centre back, scored with a powerful header, giving Alexander Grunwald an assist to add to his goal. With Austria Wien already having five, they would then be reduced to ten men, less than ten minutes after Schoissengeyr’s goal, as Blessing Eleke launched into a horrible two footed tackle that earnt him a straight red card and means the Nigerian will miss the second round tie. However the gulf in quality was just too much for Altenmarkt as David Cancola had made it 6 shortly after with a cushioned header before Marcel Canadi, on as a second half substitute scored his first goal for Austria Wien with a placed finish inside the penalty area to seal a comfortable victory for the visitors. Christopher Steegmann was visibly very happy with his sides performance and the result they gained, stating in his post match press conference that he knew his team was always going to be up against it and would receive no credit at all regardless of the result. The German, aimed particular praise at David Cancola, who scored his first hat trick for the club and Marcel Canadi and Dominik Fitz who scored their first goals for the club, since being given the chance in the first team by the manager. Jack: Financially it was very tempting but he’s such a good goalkeeper and I do think we could get a lot more for him in two or three years time! Those bids are massive. I would be a bit concerned if his head wasn't turned by Leverkusen, but hopefully you're able to keep hold of him as his services are very important to the team. A good pre-season too heading into the start of the season and a cracking result in the cup. Morale is bound to be high after such a good result, which is ideal. Not a bad way to start the season, you've set a high standard to follow up on now! Christopher Steegmann and the first team today learnt their opposition in the Third Qualifying Round of the Champions League, with Russian side Zenit St. Petersburg standing in Die Vielchen’s way if they are to reach the Play Off round of the competition. With the first leg coming just days after the visit of Rapid Wien in the first home game of the season, Steegmann and his squad will be hoping to head into the tie off the back of a positive start to the season. The draw was always likely to throw up a bumper away day for Austria Wien though due to the clubs status as an unseeded team in the draw and with the potential for ties against Shakhtar Donetsk and Benfica, the odds were always going to be against Die Vielchen no matter what tie they were given. Austria do have previous with Zenit St. Petersburg though, stemming back to Die Vielchen’s last Champions League Group Stage campaign in 2013/14. Goals from Philipp Hosiner, who scored twice, Tomas Jun and Roman Kienast, secured a memorable 4-1 victory over the Russian side on Matchday 6 at the Generali Arena, after the two sides had drawn 0-0 away in Russia earlier on in the competition, meaning that Austria have never lost to the Russians. Memories of that 4-1 victory will live long in the minds of the fans who will be hoping for a similar result come the second leg at the Generali Arena in mid-august. The first leg will, as previously mentioned be played away in Russia at the Krestovsky Stadium on August 7th, hosts of one of the 2018 World Cup Semi Finals, giving Austria Wien fans the chance to experience the stadium and the city in all its glory, before returning to Austria for the second leg a week later on Wednesday 14th August. Austria will head into the first leg off the back of the weekend’s Wiener Derby, with a home tie against Rheindorf Altach sandwiched between the two legs of what promises to be a fascinating tie. A difficult tie however the Russians are notorious for struggling away from home due to the huge amount of miles they rack up. If you keep the score low, or even better them in Russia, you have the advantage at home. That is a massive tie against Zenit, who are one of Russia's top clubs. Not quite the powerhouse they were a few years ago, but it is always difficult to play in a hostile Russian environment. Hopefully Wien's past experiences against Zenit will bode well for this tie. Bundesliga runners up Austria Wien were today rocked by the news that number 1 goalkeeper Patrick Pentz had submitted a transfer request to manager Christopher Steegmann and chairman Wolfgang Katzien. After a summer of intense transfer speculation, and reports of multiple bids by clubs such as Bayer Leverkusen in the Bundesliga, it appears that Pentz has finally become unsettled and decided to look for pastures new, before the ending of the transfer window on August 31st. 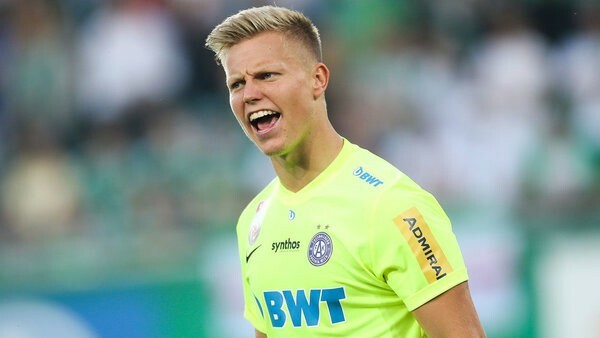 Reports from Die Vielchen though suggest that the transfer request submitted by the 22 year old, who played in every Bundesliga game for Austria Wien last season will be rejected. Christopher Steegmann remains keen to keep hold of the goalkeeper, because of his ability and potential to become a star of this Austria Wien team for a long time to come, but also because as the transfer clock ticks down, time is running out for Steegmann to find a goalkeeper of suitable standard to replace the number 1. The move also comes as a shock because of its timing, with Austria Wien less than a week away from a return to the UEFA Champions League, where they will visit Zenit St. Petersburg in the Third Qualifying Round of the competition. Having stuck through last season with Austria Wien as they competed in the Bundesliga and the OFB-Cup with no European football, Die Vielchen fans will be hopeful that the allure of either Champions League or Europa League football will be enough to persuade Pentz to stay in the long term. ScottT: Notoriously bad away from home but it’s their home form and the chance to take advantage of home advantage in the first leg that’s scaring me slightly. However, this team is more than capable of overcoming them! Justice: Fortunately the travelling won’t be as far as it would be for an English, French or Spanish club so that can’t be an excuse and hopefully we can go to Russia and grab an away goal to bring back to Austria with us! Not the news we wanted to hear about Pentz. Hopefully a solution can be found that will benefit both club and player in the best possible way! Being gazumped like this is always a risk of rejecting offers, however you may need to offload or you could wait it out until the interested suitors simply lose interest then he may come back. Either way, I hope it works out for ya!